The Philippines’ housing market remains strong, with the average price of 3-bedroom condominium units in Makati CBD rising by 5.75% during the year to Q3 2018, after y-o-y rises of 4.6% in Q2 2018, 5.66% in Q1 2018, 7.34% in Q4 2017 and 6.94% in Q3 2017. Housing prices increased 1.45% during the latest quarter. Analysis: No reason for the housing market to slow. 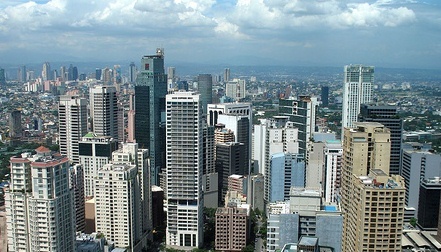 Makati CBD property prices have risen by almost 60% from 2010 to 2017, amidst rapid economic growth. Yet prices are not high, and yields are good, and the Philippine economy is in the 7th year of strong growth. Metro Manila apartment costs are moderate, at around $3,952 per sq. m.
Recent news: In Q3 2018, the Philippine economy grew by 6.1% y-o-y, down from growth of 6.2% in Q2 2018, and 6.6% in Q1 2018, amidst the slowdown of the growth of household consumption and agriculture, according to the Philippines Statistics Authority. The economy is expected to expand by 6.5% this year, at par with the average annual growth rate of 6.6% from 2012 to 2017. Meanwhile, inflation reached 6.7% in October 2018 – the highest level in more than nine years, as a result of higher food and oil prices and the impact of the Tax Reform for Acceleration and Inclusion (TRAIN) law signed last December 19, 2017.